Colorado's state flower elegantly portrayed in glass. 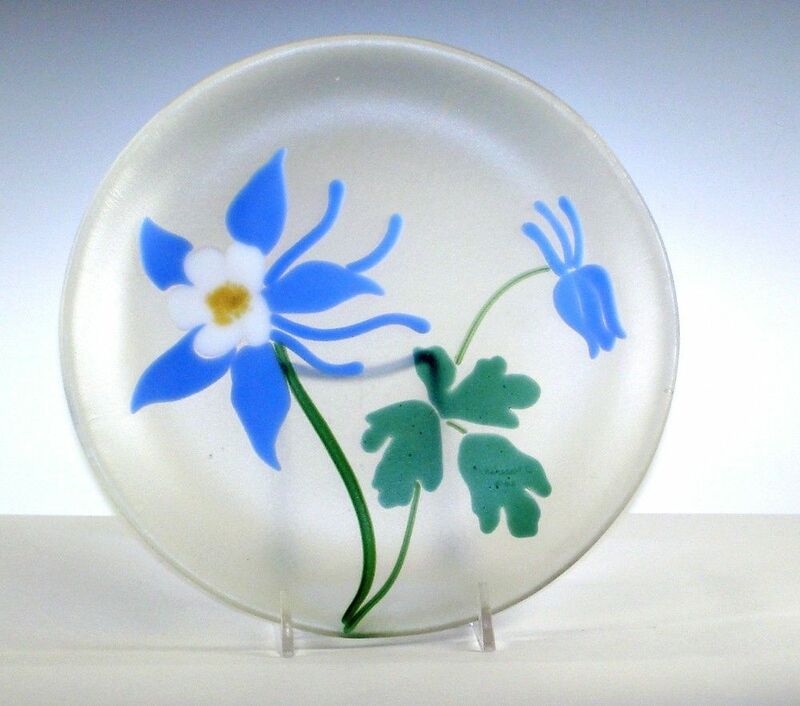 Each piece is separately cut and fused on a piece of clear flat glass then fused in a kiln. 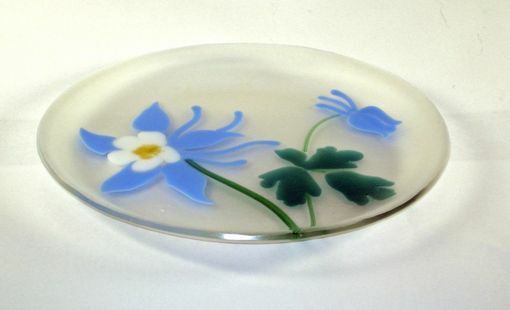 The plate is then sandblasted to give it an unusual matte finish then slumped into a mold. Signed by artist. Food safe, hand wash.